Posted August 1st, 2018 by pristine & filed under House Cleaning Services. Many of us have hectic schedules that prevent us from regularly maintaining order in the home. Luckily, there are several house cleaning services you can choose from to save you time in maintaining cleanliness on a regular basis. There are several benefits to hiring a professional cleaning company, especially since house cleaning is a demanding task that may take you hours to complete, but there are several questions if you’re going to find one that meets your expectations. After you have narrowed down a list of potential cleaning services, schedule an in-home consultation so you can discuss your requirement with the cleaning company. Scheduling a consultation will allow you to see the responsiveness of the company: if they take too long to respond and do not appear to be willing to accommodate your schedule, then you might consider looking at other cleaning services. Before the scheduled estimate, you should come up with a list of questions for the company to answer. 1. How do you determine your rates? This information is vital to avoid unwanted costs in the cleaning service. Cleaning companies have different guidelines in setting their rates: some companies charge an hourly rate, others determine the rates based on how many employees they send on a scheduled cleaning, and there are also those that will charge you by the project. During your consultation, ask the cleaning company to provide you with an estimate of how long it would take to complete the cleaning at your home. Ideally, you should go for a company that can give you a flat rate for every subsequent visit. You can also negotiate the rate based on how often you need the cleaning team to come to your home, and how many cleaners you need to work on the tasks. Reputable cleaning companies ensure the safety of their clients by employing trustworthy professional cleaners. This is why it is crucial that you ask your potential cleaning service whether their employees go through drug testing and criminal background check. A cleaning company should also be able to tell you which of the house cleaners will be assigned to your home each time. 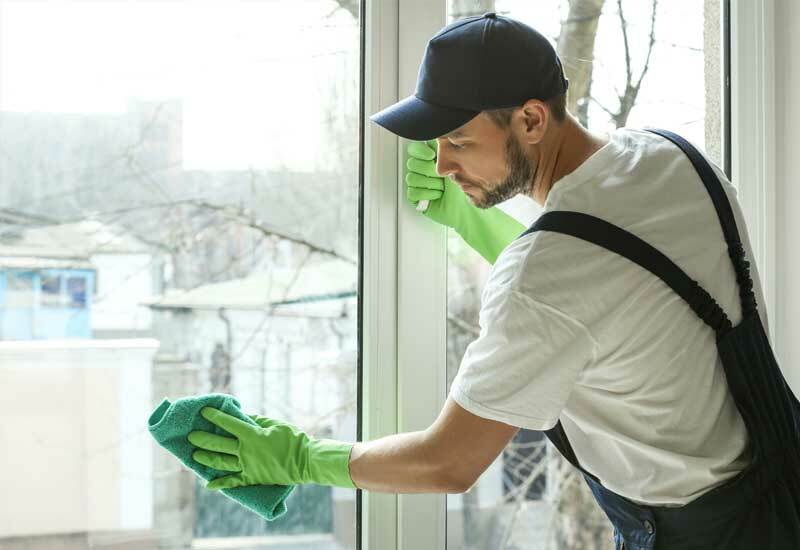 One advantage of hiring a cleaning company versus an independent cleaner is that you do not have to worry about conducting background check on the cleaners, as that responsibility falls on the cleaning company. 3. Do you bring your own cleaning supplies and equipment? While full-service cleaning companies bring their own equipment and cleaning products, some cleaning services will expect to use your cleaning supplies such as sponges and cloths. In case you are unhappy with a company’s cleaning supplies, you may choose to let them use products that you approve of. 4. Do you provide a satisfaction guarantee? You want to hire a cleaning company that gives a satisfaction guarantee so there is less risk on your part. If the service turns out to be disappointing, and does not meet your expectation, you are eligible for a refund from the company. A cleaning service provider should also be open to your feedback, and maintain an active communication with you throughout the process. 5. How will the cleaners enter my home? Talk with the house cleaners about the options for gaining access to your home: you can leave a key under the mat and instruct the cleaners to leave it inside your home after they are done with their tasks, give them access via a keypad, or stay home during the scheduled cleaning to oversee their work. 6. What should I do with my pet? Ask the company if there will be additional charges for cleaning a house with pets. If you cannot be present at home during the initial cleaning, make sure to introduce your pets to the house cleaners. You can also leave instructions for the home cleaners to leave the pet in a safe spot outside while they are cleaning. This is to prevent your pets from being exposed to potentially harmful chemicals used in cleaning your home. Ask the company what services are included in every visit. Will they include the kitchen and bathroom or do a general cleaning of the house such as vacuuming, cleaning of floors, and removing dust from surfaces? Make sure to communicate the areas that you want them to prioritize. This way, the company can give you an idea of the cost for such service, and you will know what to expect during every routine visit. One benefit of hiring a cleaning company is the opportunity to work alongside cleaning professionals to ensure that your home is sparkling clean after every visit. If you are concerned about the materials that a cleaning company uses to clean your home, you have the option to suggest the use of environmentally friendly solutions, or find a company that utilizes those for all their cleaning services. Some cleaning companies also offer flexibility in scheduling in your regular home service. Communicate your cleaning requirement and you will find that there’s a company out there that will accommodate your schedule and make the necessary adjustments to the cleaning program. If you do the cleaning yourself, you will probably spend several hours that you have to take out of your schedule, which could have been dedicated to doing more productive things. We all know how much everyone hates wasting their precious time cleaning their home, especially when you could be doing something you love instead. 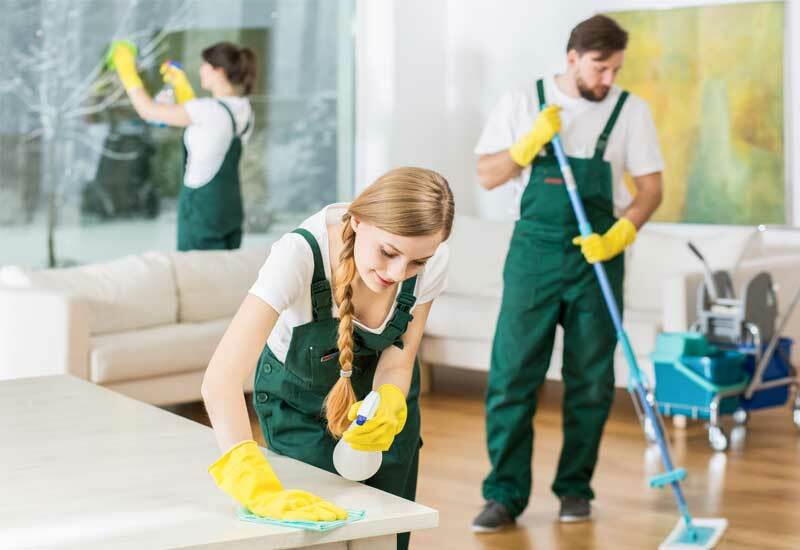 By hiring a professional cleaning company, you can bid goodbye to doing household tasks, and instead focus your attention on other important things. You will have extra time on your hands, which you can use to earn money, and you spend less on cleaning supplies since most cleaning companies bring their own cleaning supplies and equipment for every scheduled cleaning. The most noticeable benefit of hiring a cleaning company is the physical transformation of your home and keeping it that way. This may not mean much when you hear it promised by cleaning services companies, but you will be surprised at the difference a tidy environment can make to your physical and mental health and also the quality in different cleaning agencies. In addition to the physical transformation, professional home cleaners will clean different areas of your home with disinfectants to ward off viruses, and bacteria. Depending on your chosen cleaning service, the company may extend the cleaning work to your patio and driveway using cleaning equipment specifically designed for use on outdoor areas. Many people choose to cook at home rather than eat outside to make sure that the food they are consuming is actually made of healthy ingredients. Cooking at home gives you the freedom to incorporate the ingredients you want to be putting in your body. But while there is nothing wrong with this, cooking at home increases the activities in the kitchen, and for some, this translates to grease splatters and crumbs on the floor. In this area, you can reap the benefits of hiring a cleaning company. Depending on your needs, the company can do a routine cleaning of your kitchen countertop, refrigerator, and even your kitchen cabinets. Dirt builds up fast in your kitchen gout as well as your kitchen hob, so you may need professionals to do a thorough cleaning of this area too. Stress runs high during the holidays because of all the things you need to prepare, and the gifts you need to get for everyone on your list. As you can imagine, gathering up old magazines, and purging closets are time-consuming tasks, which you cannot expect to finish in an hour. In fact, some homeowners who try to tackle these tasks alone end up abandoning the chores altogether. When you hire professional cleaners, you get a big load off your shoulder. They can clear out unnecessary junk and get your house gleaming again. Having a team of cleaning professionals come to your home means you do not need to tackle the massive task of doing holiday cleaning alone. It is normal for homeowners to be wary of hiring cleaning services especially if it is their first time to have professional cleaners come to their home. This is why many homeowners find it difficult to narrow down their options for cleaning services and to find a company they can actually trust. Before deciding on which cleaning company to hire, it is important to ask around for feedback from family, friends, and neighbors. With the advent of technology, everything -even company reviews can be found with a few clicks. This means you can easily check out what people have to say about a specific company by browsing for feedbacks online. Need A Home Cleaner Now? If you’re located in Sydney then your next step is to contact Pristine Home. We are Sydney’s fastest growing home cleaning service and provided trusted and vetted cleaners to homes just like yours. It’s easy to book your next clean, simply fill out your postcode and get an instant online quote within 60 seconds. We offer a fully guaranteed service so if you aren’t happy with your clean then just speak to our team and we’ll make sure you’re 100% satisfied. Its really important to us, and to you, that we provide you with a cleaner that is a perfect match for your expectations. We have the best customer service around and pride ourselves on longer term relationships and scheduled cleaning services to your home. So what are you waiting for? Stop waste your precious free time cleaning and get in touch with us today.